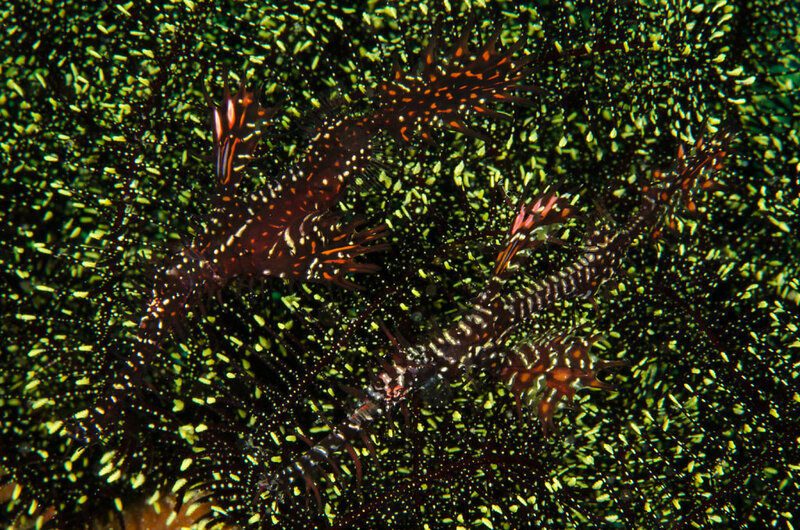 This pair of Solenostomus paradoxus, also known as Ornate Ghost Pipefishes, was captured in Anilao, Philippines. As described by its name, they can suddenly be found and encountered by a scuba diver in an open water. It was not these two fish that caught my initial attention, but rather the composition of the colours. With an eye catching bright green shade from a feather star, the reddish black contrast from the fish almost adds complexity to the scene with a sense of dizziness.